Recognition of carbohydrates in biological systems has been gaining more and more attention in recent years. Although methodology for studying recognition has been developing, there is no volume that covers the wide area of methodology of carbohydrate recognition. 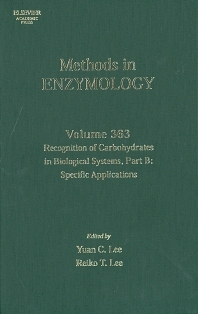 This volume, Recognition of Carbohydrates in Biological Systems, Part B: Specific Applications, and its companion, Volume 362, present state-of-the-art methodologies, as well as the most recent biological observations in this area.